Toptal is proud to sponsor the first Brazilian conference created for developers who work in Flask. Flask is a microframework in Python used for developing web applications. This two-day event, taking place August 24-25, will attract more than 120 professionals and students. Join us to learn more about the entire ecosystem around this microframework through tutorials and lectures. 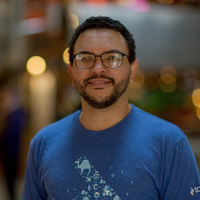 This is also a great opportunity to meet Renne Rocha, a Toptal developer who will be on site for the conference. Meet up with Renne to learn about how Toptal works, or to introduce your colleagues who may be interested in finding out more. Your message to Renne was sent.